1Combine the flour, baking powder, salt and 2 tbsp sugar. Combine the oil, egg yolk and iced water. Stir into dry ingredients until combined. 3Divide into two portions, cover and refrigerate for 30 minutes. 5Roll out one portion of pastry to line a 25cm round pie dish. Brush with egg white. 6Toss the apples in lemon juice. 7Combine the ½ cup sugar and cinnamon. 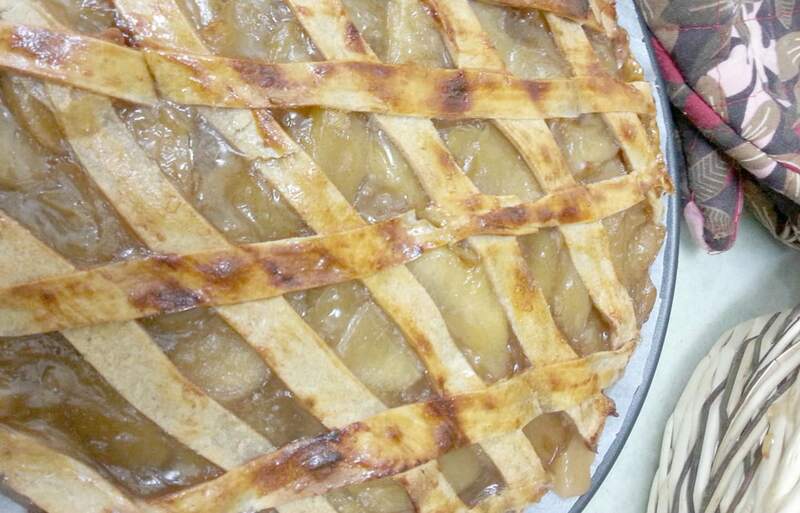 Place half of the apples in the pastry case. Sprinkle over half of the cinnamon sugar. Repeat with the rest of the apples. 8Roll out remaining pastry. Place over the apples. Press the edges to seal. Trim. 9Make 2 slits on top and brush with egg white. 10Sprinkle with a little extra sugar. 11Bake for 40-45 minutes until golden.